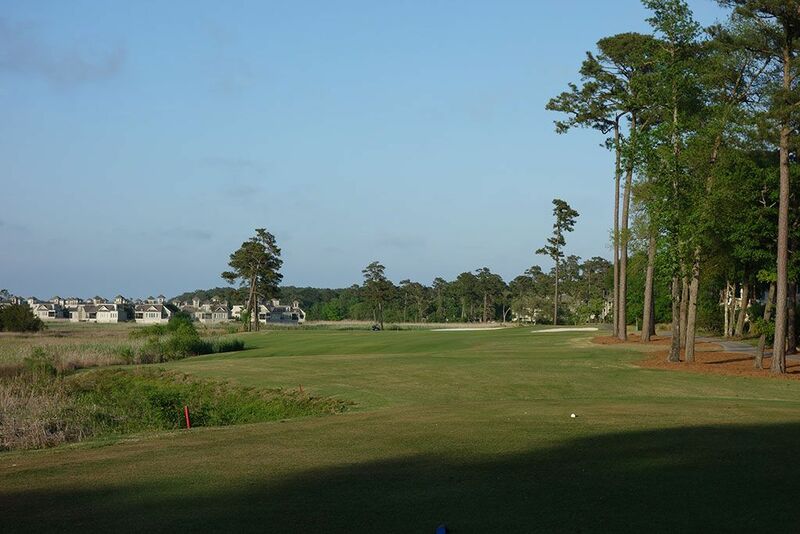 Course Website: Official Website - Visit Tidewater Golf Club's official website by clicking on the link provided. Accolades: Ranked 2nd in South Carolina on Golf Course Gurus' Best in State list. What to Expect: Tidewater is located north of Myrtle Beach along the salt water marshes slightly inland of the Atlantic Ocean. The course is routed through a residential development which doesn't end up being a distraction due to the heavy woods that line the majority of fairways and the attractiveness of the homes themselves. 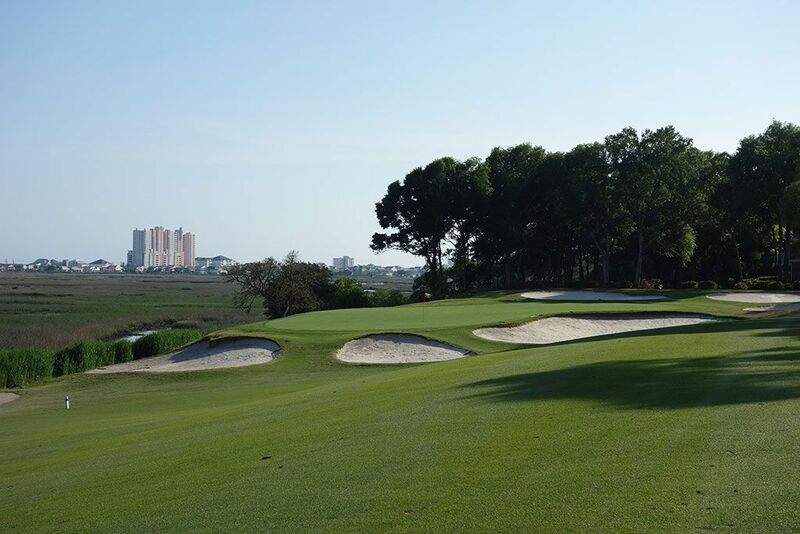 From a conditioning standpoint there are few courses that can rival Tidewater's TifEagle greens, brilliant white bunkering, and finely manicured fairways which only adds pleasure to the round. Water comes into play on several of the holes, mainly on the approach shots, with drop areas being made available when you accidentally dump your Pro V1 in the drink. There is significant separation between the holes which creates a keen sense of isolation however the great distances between some holes make walking the course a difficult proposition. 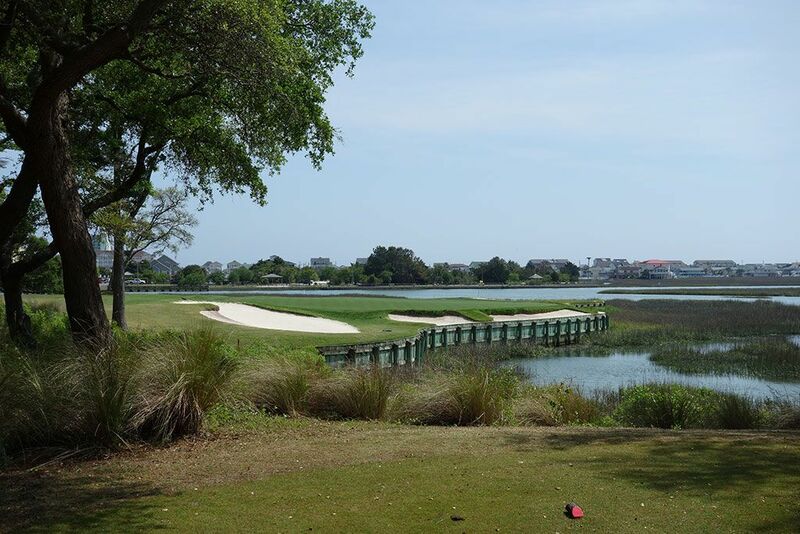 There is some gentle movement in the property to give variety to the holes with the most spectacular holes playing along the salt water marshes which provide impressive views and risk/reward opportunities. GPS equipped carts will help guide you through your round which is a nice feature at a course with as many hazards and bunkers to contend with as Tidewater has. 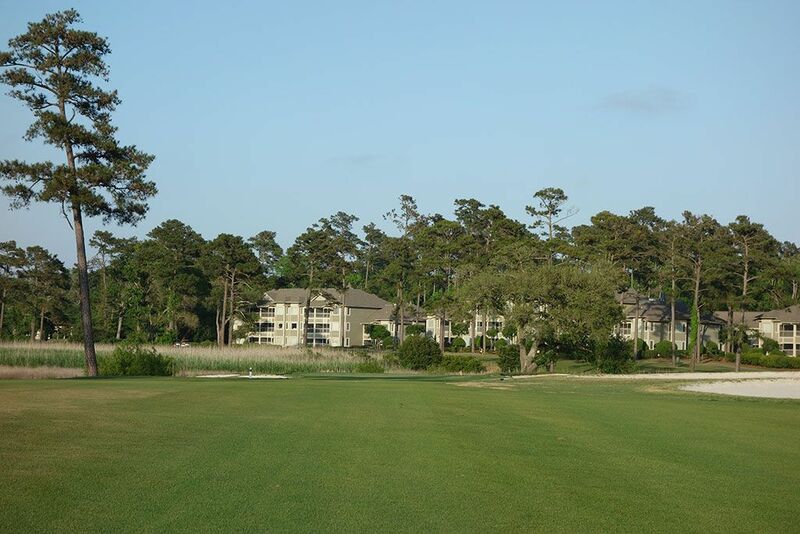 Bottom line, Tidewater makes the top five of virtually every significant list of courses in Myrtle Beach and it well deserves that placement. 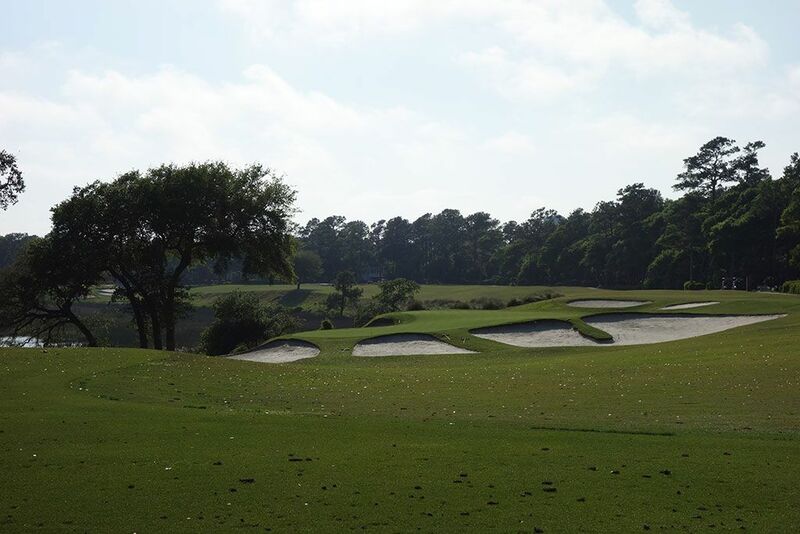 Signature Hole: 12th Hole – 189 Yard Par 3 – This dramatic do-or-die hole boasts one of the most visually stunning locations in Myrtle Beach. With the salt water marshes surrounding this hole, it creates a peninsula green that is totally exposed to the wind and can cause some havoc with club selection. A series of five bunkers form a crescent across the front of the green with the largest bunker front the putting surface from the angle the forward tees face. With four holes playing along the salt water marshes, this is the most dramatic and attractive. Best Par 3: 3rd Hole – 142 Yards – Playing the opposite direction of the similarly dramatic par three 12th, this short one-shotter hugs the salt water marshes on the left and boasts a crescent of bunkers sitting above the green on the right side. The putting surface features a small bowl in the front left portion that creates the most intriguing pin placement. Putting to this corner of the green can often require coming in from a 90 degree angle before letting the slope take your ball towards the pin. The combination of the attractive setting and engaging green make this one of the most unique and enjoyable holes on the Grand Stand. 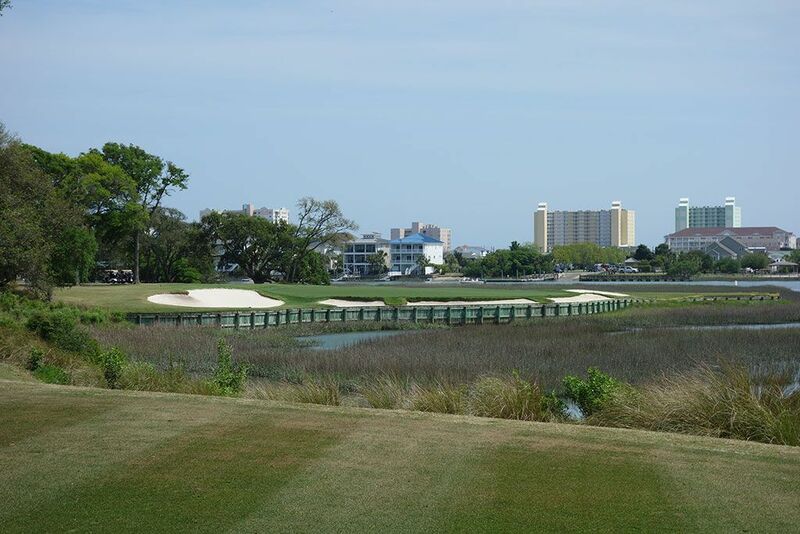 Best Par 4: 4th Hole – 430 Yards – Bending left along Cherry Grove Inlet, the 4th hole is an attractive and challenging hole that features a steep fall off to the left and a bunker that flanks that side of the hole the entire way to the green. The downhill approach plays to a green that is completely surrounded by bunkers and often plays into the wind so club selection is critical here. Players that miss their approach to the left will find the narrow beach bunker that sits well below the green and poses one of the most difficult up-and-downs on the golf course. 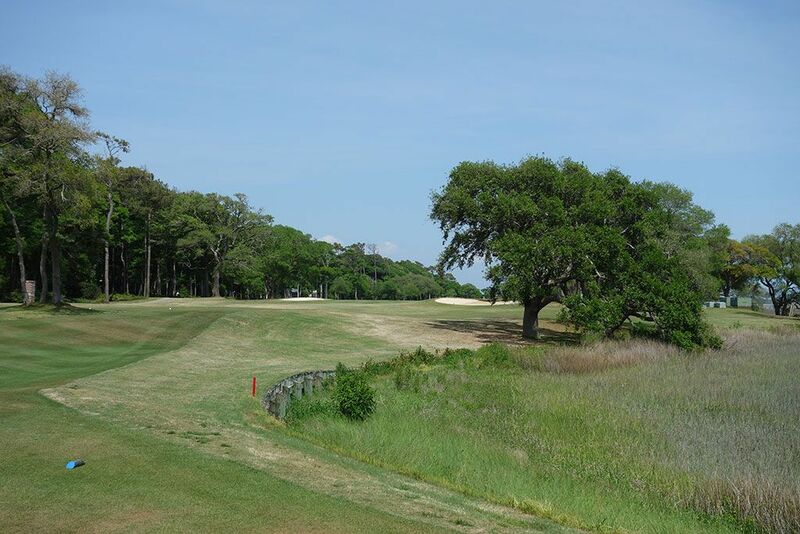 Best Par 5: 13th Hole – 543 Yards – The final hole that runs along Cherry Grove Inlet is this par five that travels east parallel to the ocean in the distance. The back tee box was reminiscent of the 17th at Cypress Point where players tee off behind the green of the previous hole and feature a carry of the water. The wide fairway will help players aggressively attack this hole especially since the fairway bunkers shouldn't be in play for most golfers. Unless you are an excellent bunker player, going for the green in two isn't worth the risk considering the entire putting surface, other than the rear left, is surrounded by five bunkers. Birdie Time: 8th Hole – 485 Yard Par 5 – Anytime you have a par five measuring under 500 yards you ought to be licking your chops at the opportunity to take a stroke back from old man par. With the closest fairway bunker sitting nearly 300 yards away, finding the fairway shouldn't be a problem as long as a snap hook doesn't come out and dump you into the hazard framing that side of the hole. The real teeth in this hole is the half dozen bunkers that surround the green, but with a iron likely being in your hand as you attack the green in two, there is no reason to not be aggressive and increase your chances of throwing a birdie on your scorecard. Bogey Beware: 5th Hole – 468 Yard Par 4 – Long, framed by trees, and mostly straight combine to create a difficult hole to par. 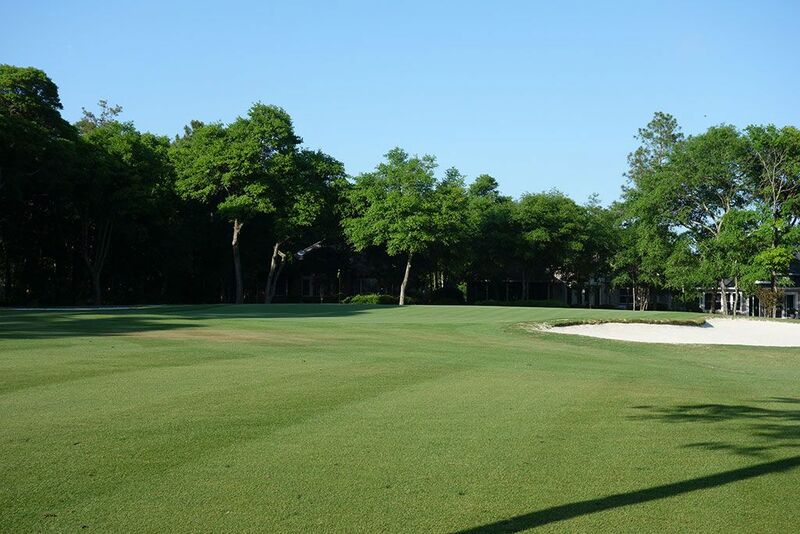 Though there aren't fairway bunkers to face to the traditional landing zone, the sand that flanks each side of the green can prove to be a challenge when approaching this putting surface from a mid to long distance away. Reaching this green in two however doesn't guarantee a par considering the back-to-front slope that can be difficult to judge the speed on.